Gallery 4463 is hosting Lost Dreams Found, a romantic evening interlude with fine art, wine and song on Saturday, May 4 from 6-9 pm. 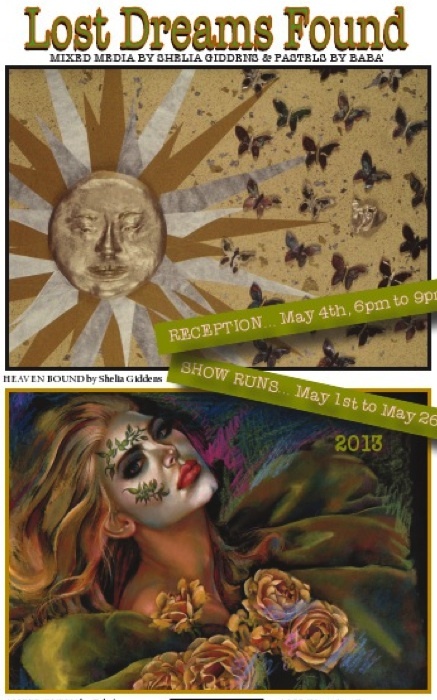 Works featured are by Baba’ , an award winning pastelist and Sheila Giddens, who excels in a variety of mediums: Rice Paper Collage, Raku pottery and jewelry, Colored pencils. To set the mood, a special feature of Saturday’s reception will be a live vocal performance of several operatic arias by Linda Reyes. The Gallery is located at 4463 Cherokee St., Acworth, GA. The show will continue through May 20.